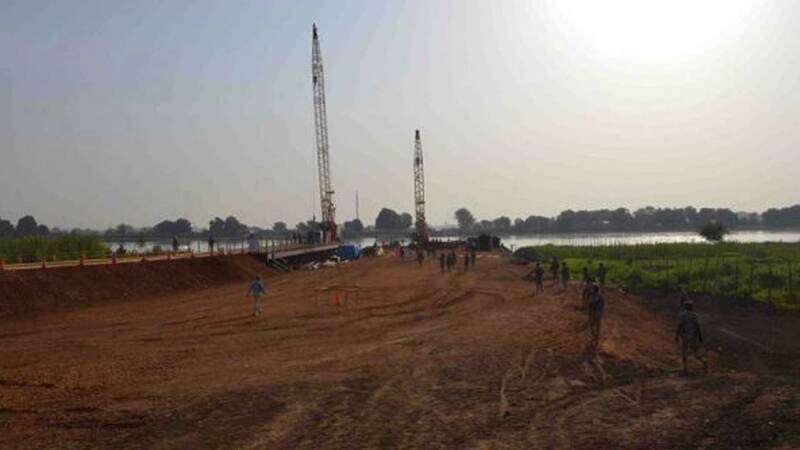 The second bridge over the White Nile in the whole of South Sudan has been planned for since 2012 and the signing of a cooperation agreement between the governments of South Sudan and Japan. Following the outbreak of civil war at the end of 2013, the project was put on hold. It’s only in March 2015 that the construction of Freedom Bridge was inaugurated by President Salva Kiir. This $91 million infrastructure project was supposed to be completed by 2018. But in the wake of another violent episode in Juba in July 2016, Japanese workers were evacuated and the bridge’s construction put on hold once again. The 350m-long bridge is aimed at relieving Juba Nile Bridge from traffic congestion – the only bridge over the White Nile in South Sudan – and stimulating economic activity in the area.